DescriptionBright, bold and unusual, these funky napkins add a pop of colour to your baby shower. 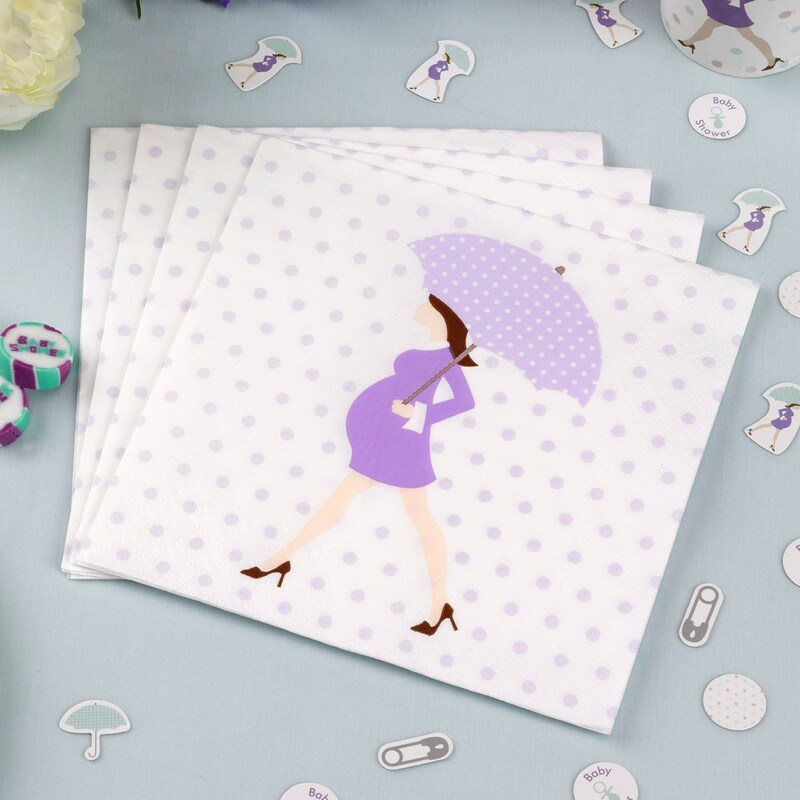 Featuring a mauve polka dot background and a mum-to-be and umbrella illustration. Perfect if you""re looking for something fun for your baby shower celebration. Each pack contains 16 Paper Napkins. Bright, bold and unusual, these funky napkins add a pop of colour to your baby shower. Featuring a mauve polka dot background and a mum-to-be and umbrella illustration. Perfect if you""re looking for something fun for your baby shower celebration. Each pack contains 16 Paper Napkins.